ABCey's #TechTuesday: Our Top 10 Apps for Editing Event Photos! #TechTuesday highlights the best and brightest ideas in the tech world. Today’s #TechTuesday features the top 10 apps for editing event photos! With this free app, you are able to tune with precision! It’s easy to make your photos look professional even if you took them yourself with your phone! Moreover, the perspective tool helps identify and adjust any skewed lines, which are a trademark of a professional picture! VSCO is a very simple app for editing event photos. 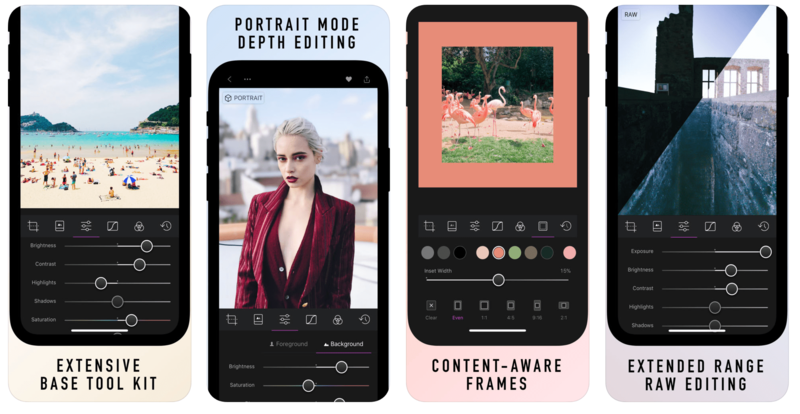 The bar along the bottom allows you to choose which facet of your picture you’d like to edit with easy ways to tune, whether it be a filter, brightness, or contrast! Also, you can take the photos via the app and adjust exposure, white balance, or the focus while taking it! Welcome to the land of filters! Afterlight 2 has so many filters to add to your photo, in addition to cool effects and designs. It allows you to also add any typography you would like to add, and it also enables you to layer texts and such within the photo! We’ve all had amazing pictures ruined by epic photobombs.. With Superimpose X, we can say goodbye to the unwanted background and replace it with something we love, like the beach! If that’s not exciting enough, we can also combine a picture with another one! Are you a lover of miniature models? TiltShift has a miniature effect that creates an illusion of looking down at one! Besides this effect, you are able to draw your audience’s eyes to one specific aspect of your photo by focusing it on that area! It allows you to make your brand pop by simply editing event photos. One of the best features is this app’s built-in masking ability to blend two photos perfectly! It allows anybody to create an amazing picture that could speak volumes on your brand and its values. In addition, Enlight allows you to share your edited event photos directly to any social platform to save you a few extra minutes! We all love old photos, especially our past event photos! If you want to revitalize and enhance these photos, Adobe Lightroom CC is for you! It allows you to edit and heighten the quality of old photos without difficulty. Moreover, there is an HDR mode that automatically extends the exposure scope – perfect for including just the edges of a horizontal photo! Also, you are able to conveniently access it anywhere using Adobe Creative Cloud. Worried about the sizing of your images for different platforms, like Facebook, Twitter, and Instagram? Aviary enables you to crop the picture and to also resize it as needed. Furthermore, you can add stickers! Stickers are a cute way to add a small little pop to your event photos if you wish. 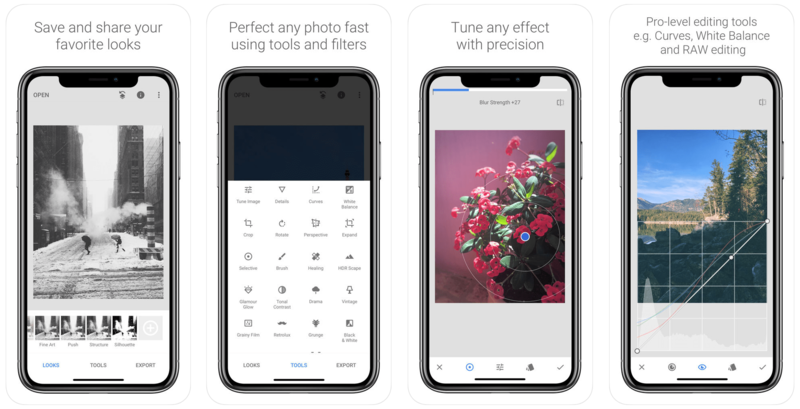 Camera+ is a great editing app because of its feature named Clarity; this tool makes intelligent adjustments based off your picture to help improve the overall product! It has many scene modes too, like Food, Portrait, Beach, and many more that will ensure that your photo is sharp and taken in its most optimal setting! “Everybody makes mistakes. Everybody has those days.” -Hannah Montana. Darkroom takes this into consideration with its famous infinite undo history! With this feature, you can go back as many times as needed to fix up or change the way you were editing! Also, you can store photos directly into the app, so there’s no need to import and re-upload every time! Which is your favorite app for editing event photos? Will you be using any to edit your event photos? Do you have any editing apps you live by too? We’d love to hear from you! Let us know in the comments below or on Facebook or Twitter! For a little more help with taking event pictures, ABCey also has a list of tips for you to take amazing photos!